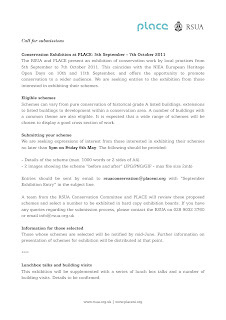 The RSUA and PLACE present an exhibition of conservation work by local practices from 5th September to 7th October 2011. This coincides with the NIEA European Heritage Open Days on 10th and 11th September, and offers the opportunity to promote conservation to a wider audience. 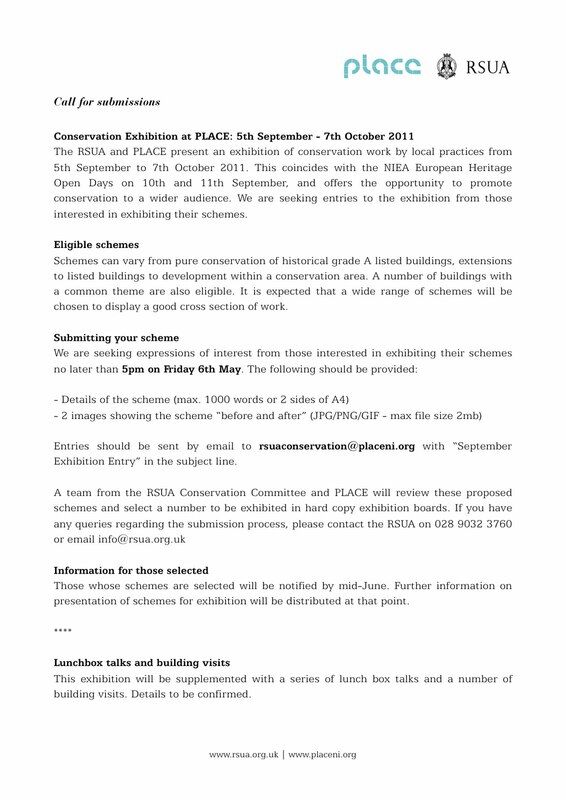 We are seeking entries to the exhibition from those interested in exhibiting their schemes. Click to enlarge flyer. Download PDF. For information on submitting your scheme, download the PDF info sheet: click here.